After the Arsenal was founded in 1856, Pula faced a period of intensive building, marked by the construction of new buildings mostly related to the activities of the main naval port of the Austro-Hungarian Monarchy: from the Naval hospital and Naval cemetery to numerous barracks of the Hydrographic Institute, Marine Casino, military and civil buildings, residential buildings for officers and civil servants, as well as residential buildings for workers and lower grade clerks. 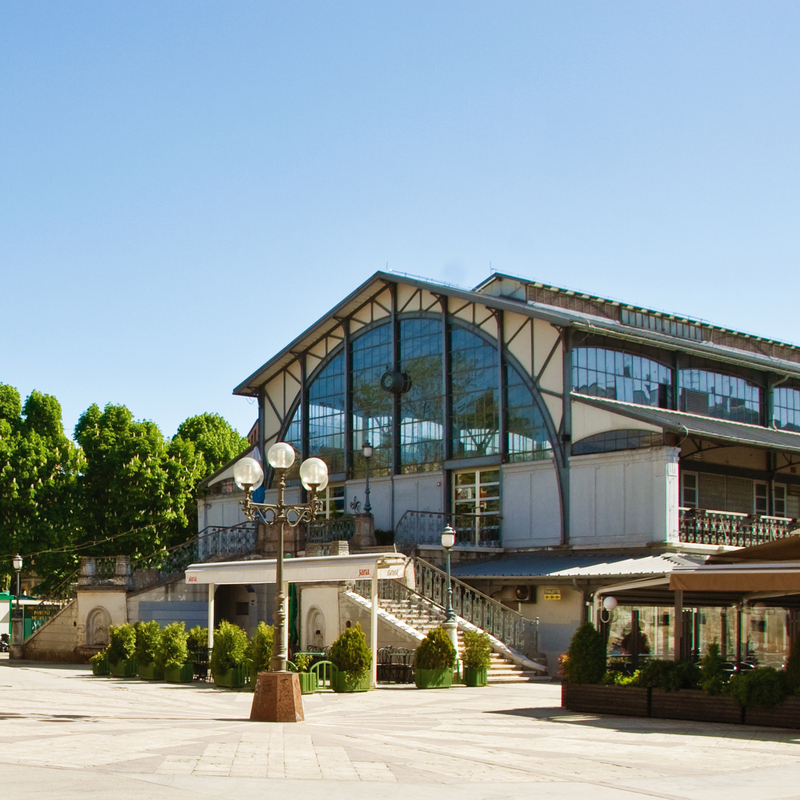 In 1903 was the inauguration of the Market, a covered construction. At that time it was an extraordinary event, because for the first time iron and glass were used as the newest building material. That is why it was very popular and apeared very often on postcards. The whole mantel creating the outside wall was made entirely of iron construction supports and glass surfaces. The trading areas in the ground floor are spacious and functional, and till today the building has not lost its purpose, the belly of the town. It is the centre of the morning town life and everyone who wishes to feel the spirit of the Mediterranean should pass through its fish-market, take a glance at stalls with fruits and vegetable, take a coffee on its terrace and eavesdrop the morning throng and buzz of the town. Especially interesting are the great number of private villas for higher ranked officers and civil servants, mostly located in the southern suburb Sv. Policarp. The houses with one or two apartments were set along quiet streets and surrounded by greenery. Numerous ornaments, sculptures and architectural details bear the features of Viennese Secession that gave entire Pula an air of a Central European city. Some of the finest examples are Villa Horty, Villa Wolf and many others.